What is the “Common Cold”? The common cold seems almost to be a partner to the other two certainties in life: death and taxes. Every year, winter arrives, you get sick for a few days, take time off work to watch daytime television and then you get better. But what actually is a “common cold”? A cold is an infection caused by a virus in the throat, nose or sinuses. Over 200 different types of viruses can cause a cold, with the most common known as rhinoviruses. These viruses are easily transmitted between people, both through the air after sneezes or coughs, or through contact with nasal mucous, either directly or through an intermediary object (such as a doorknob or shopping trolley handle). Symptoms of the common cold include coughing, congestion of the nose, a sore throat, headaches and muscle aches. In children, a fever may also be present. 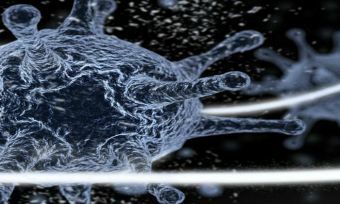 Interestingly, most of these symptoms are not directly caused by the invading virus, but are actually a result of the body’s own immune response as it fights the disease. The illness typically lasts a little over a week, but may take as many as three weeks to run its course. The cold is the oldest and most common disease affecting humanity, with records dating back to the ancient Egyptians. Most people can expect to be affected by at least two colds each year, with school-aged children potentially having twelve in the same length of time. Despite the cold’s long history, no effective cure has ever been discovered. Treatment is thus limited to managing the symptoms and preventing infection in the first place. Paracetamol and ibuprofen-based medicines can help to alleviate symptoms, as well as bed-rest and drinking fluids. Prevention is even simpler, and typically more effective. Washing your hands regularly, particularly before eating or after being in a public space, can destroy the virus before it has a chance to infect you and is the most effective way to protect yourself. Other measures have limited evidence of their effectiveness; vitamin C supplements have not been shown to prevent infection or to reduce the severity of the illness, though some studies suggest it can reduce the duration of a cold. Unfortunately, the common cold is most likely here to stay. However the disease is usually mild, not health-endangering and will normally only result in a rash of daytime television. Is your detox doing you more harm than good?